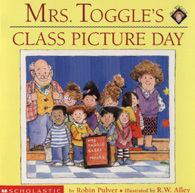 It's class picture day and Mrs. Toggle's hair is a mess! Everyone in school, from the nurse to the art teacher, tries to fix Mrs. Toggle's hair. Will they succeed before the big picture? "As soon as Mrs. Toggle's children walked into their classroom in the morning, they ran right back out. 'What was THAT?' cried Caroline. The creature in their room came after them. 'Children! It's me, your teacher, Mrs. Toggle! 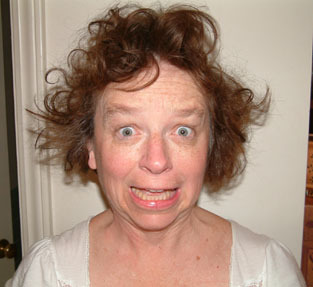 I'm having a bad hair day'"
For years, my daughter's friend said to me, "You have to write about a bad hair day!" Finally, I did.